A few months ago, I had the chance to interview Evangeline Lilly who plays The Wasp in Ant-man and the Wasp. I congratulated her on being the first female Marvel superhero ever included in the film title of any movie in the Marvel Cinematic Universe. I also pressed her just a bit to see if she thought the rumor of an all female superhero movie could possibly be in the works for the MCU. I don’t know if I’m alone, but I love seeing female superheroes on the big screen and I love sharing this experience with my daughters even more. In the past few years of MCU greatness, we’ve gotten to see several and their tremendous strength and power leaves much to admire. If we were to get an all female Marvel superhero movie, I imagine this would be the starting lineup! By far, she is one of the most powerful superheroes in the Marvel world. Her powers entail warping and altering reality. 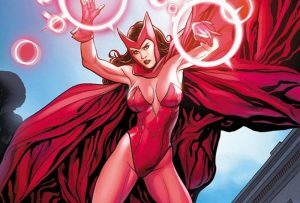 Despite being the daughter of the villain Magneto, she switched allegiance and now fights alongside the Avengers. Natasha Romanoff was once a great enemy of Iron Man. She was the daughter of a KGB agent and had once undergone a secret black widow program that not only brainwashed her but turned her into a spy. But she defected from that movement, and she now spends time doing good trying to make up for the wrongs she did. Janet Van Dyne or Wasp was played by Evangeline Lilly in Ant-Man and The Wasp. She was the daughter of the brilliant Hank Pym thought the original Wasp was Van Dyne’s mother. In the comics, Wasp was also a founding member of the Avengers. Shuri, played by Letitia Wright, is Black Panther’s brilliant sister, notably the smartest person in the Marvel universe. 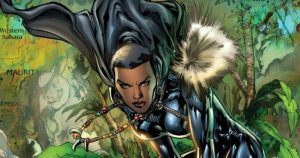 She is also trained as a Black Panther and in the comic books, has had to step in as the Black Panther when T’Challa becomes incapable. Like…I don’t know…If he were to become dusted for example? Okoye is played by Danai Gurira in Black Panther, where she is the head of the Dora Milaje, the all-female army of Wakanda. She has the utmost respect dedication for the nation of Wakanda. Brunnhilde the Valkyrie was once part of an elite group of Asgardian warriors called the Valkyries. She resides on Sakaar as a bounty hunter, though her exact origins are unknown. Valkyrie is played by Tessa Thompson in Thor: Ragnarok. Gamora, played by Zoe Saldana, is the adopted daughter of Thanos. She has extraordinary fighting power and seeks redemption as one of the Guardians of the Galaxy. Last, but certainly not least is Captain Marvel, also known as Carol Danvers. Having got her powers from encounters with aliens, she has fought a good fight for years. 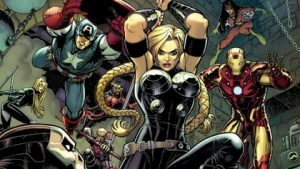 She is not officially part of the Marvel Cinematic Universe, but we have gotten ample hints that she will be coming to the big screen soon! 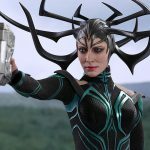 We found Hela, played by Cate Blanchett last year as she made her appearance as the daughter of Odin in Thor: Ragnarok. If there were ever to be an all female Marvel superhero movie, she would be a top choice of mine for the female Marvel villain to out-fight all other villains! 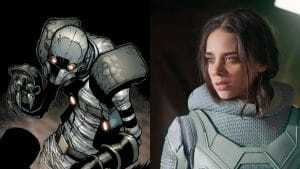 The villain Ghost in Ant-Man and the Wasp was originally a male character in the comic books, but I have to say Hannah John-Kamen brought the character to life through her portayal. Of course, we have Shuri and Okoye who have quickly become two of the best known black female Marvel superheroes. The character of Valkyrie was not a woman of color in the comic books, but the role was given to African American actress Tessa Thompson, much like the Ghost Character. 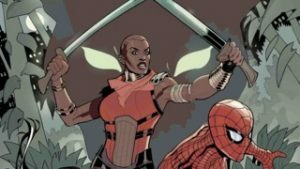 While the diversity in female Marvel superheroes has some room to expand, these are a couple more female Marvel superheroes of color to note. 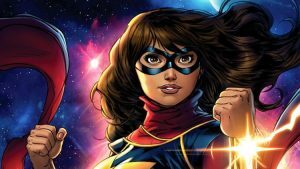 Despite this character being assumed by different women, the current, known as Kamala Khan is becoming a favorite among comic fans. Being a teenage shapeshifter, she has an excellent personality. Moreover, she’s the first Muslim female superhero to lead her own comic. Storm is a popular mutant who was recruited by Professor X to join the X-Men. She can manipulate weather. 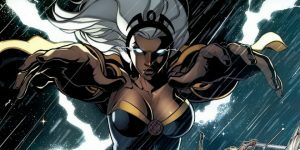 Ororo Monroe’s powers are quite fascinating, and she portrays leadership skills in the moments she has led the X-men to battle. In the comic books, Storm was married to Black Panther, but the marriage was annulled. 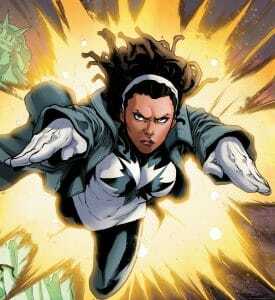 Monica Rambeau was actually the first black female Avenger and a true superhero. 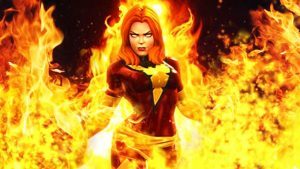 In Marvel Comics, she has been knows by many different aliases, including Captain Marvel, Photon, Pulsar, Daystar, Sceptre, Lady of Light, Monica Marvel, Sun Goddess, and Spectrum. 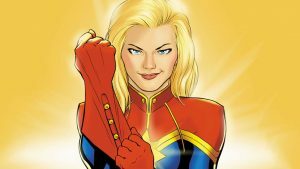 There have been rumors circulating that she will be appearing in the upcoming Captain Marvel film, but that has not been confirmed to me yet. 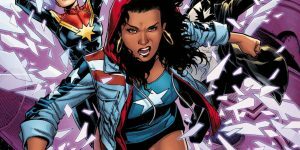 American Chavez is mighty Latina in Marvel Universe and a member of the Ultimates. 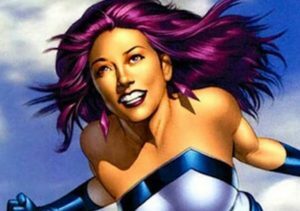 She’s also the first or most well known comic book character who is a member of the LGBTQ community. Jessica Jones is one of the recent female superheroes that is on everyone’s minds. She possesses the modern-day superhero capabilities such as flying and mind control. However, she is wounded by her past and is trying to recover. Jennifer Walters got her powers from her cousin Bruce through a blood transfusion when she got shot. Her powers are magnificent. She is in control, unlike her cousin. 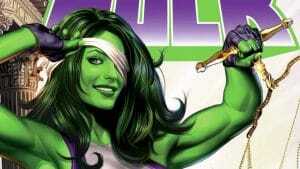 The She-Hulk decided to stay in her hulk form permanently in order to help save crime. She is a professional lawyer by the way. When she’s not out there fighting crime, she’s definitely in the courtroom. Rogue has been both a hero and a villain. She was taken by Mystique and Destiny who practically raised her. In her early life, she was used by Mystique to carry out criminal activities. However, the X-men helped transform her. Rogue’s ability to absorb another person’s power by touching them made her life difficult. But her character is strong and determined. 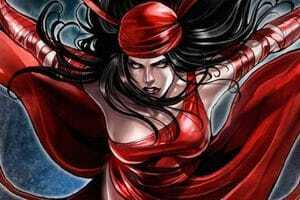 Elektra is a character that switches sides whenever she sees fit. She was trained in martial arts when her mother was killed. Unfortunately, when her dad was killed, she became angry and was motivated by revenge. She also once dated the Daredevil back in her college days. Medusa is a character that originates from the Greek mythology. She first featured in the fantastic four volume 1 in 1965. This character has lived on up to date. Medusa can control the movement of every strand of her “tougher than steel hair.” She is also able to control it when it’s cut from her head. 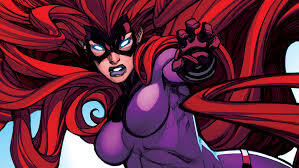 She is Medusa younger sister and queen of Inhumans. Crystal stranger elemental powers, where she can manipulate earth elements water, fire and air. With elements, Crystal can create a multi-faceted attack. The power of Sersi is at an insane level. She is virtually immortal. Besides, Sersi has telepathy, telekinesis and shoots blasts of the cosmic energy. She is lethal and overpowered because of her ability to mute. 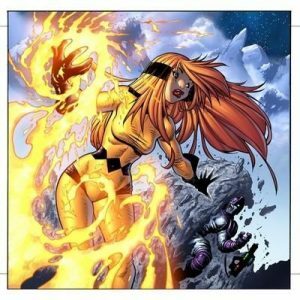 Jean from Dark Phoenix gained incredible strength unlike when she was a regular Phoenix. Entities like Galactus retreated in its wake. Jean vaporizes a planet with much ease. 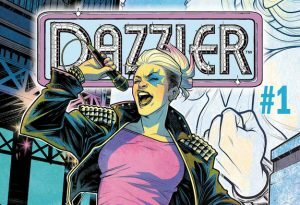 Alison Blair, also known as Dazzler has groovy superpowers. She is a mutant and converts sound into different forms of light, therefore, a living dynamo. Alison can absorb the even explosion sound and channel it to form raw power. 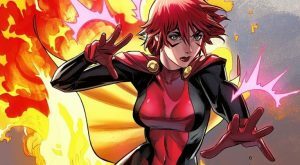 Rachael Summers is the strongest in summers family trees. She has powers that revolve around telepathy and telekinesis. Due to her insane power, Rachael controlled the Phoenix force. She does have power more than her mother and therefore, dangerous. 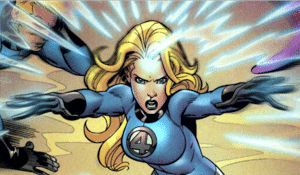 Sue Storm is an invisible woman and the “Fantastic Four” founding member. Her center powers come from the creation of the force field and turning invisible. 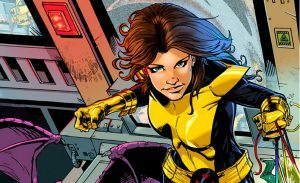 Katherine, or Kitty Pryde is a mutant superhero with incredible phasing power. With her powers, Kitty can walk through people or walls, lock objects in the ground or phase objects together. 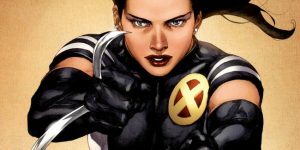 Laura Kinney was originally known as X-23 and later the second known Wolverine in association with the X-Men. 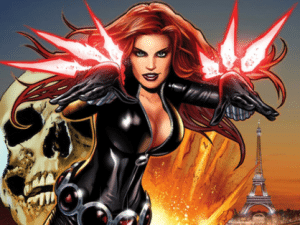 These are the best marvel female superheroes and villains of all time. These heroines have made notable breakthroughs not only in comics but on screens and portray some of the best and characters. 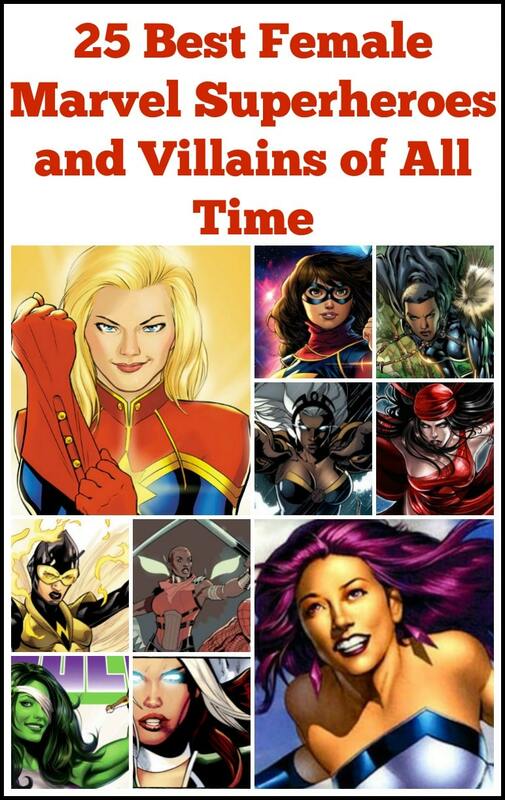 So again…how about that all female Marvel superhero movie?! My girls got a message from Pumbaa from The Lion King! How about an all female Marvel superhero movie? 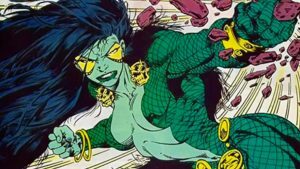 Here's a list of the best marvel female superheroes & villains we'd love to see on the big screen! « Chuck E. Cheese’s All You Can Play is the perfect pick-me-up for any day!